After working in the male-dominated world of tattooing for years, artist, businesswoman and feminist Noemí García saw the need for a space where women would feel more comfortable getting inked. 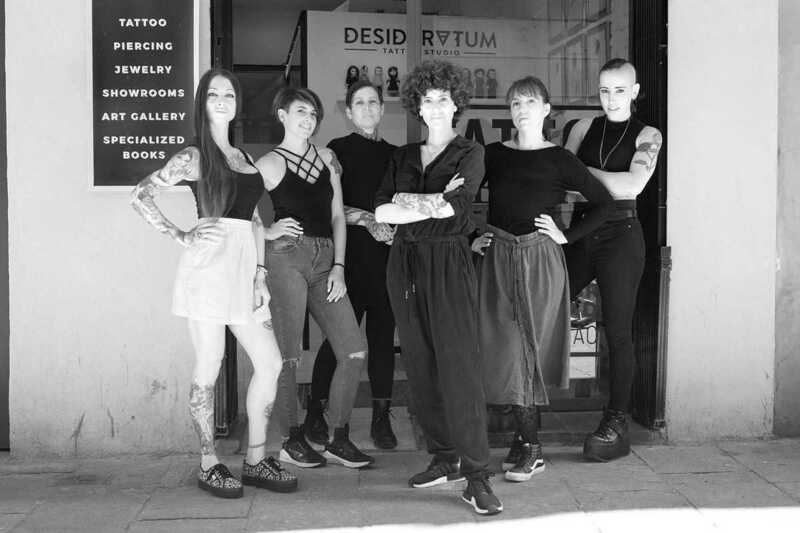 The result is Desideratum, the first studio in the city owned and run exclusively by women. The permanent artist roster consists of Paula, Tess and Blanca, who cover a broad spectrum of styles from realism to fine line, plus visiting artists like Sacra París and Uve Rivera. The space also functions as a gallery, with French artist Lorène Abfayer curating exhibitions of illustration, painting and more. Just like the ink they use, Desideratum’s ethos runs deep. The activist studio has a collection of books on feminism and queer ideology, offers corrective tattoos for scarring as well as “social tattoos” to help women who have suffered violence transform their scars. They won’t tattoo on the hands or neck of first timers and do not carry out work which expresses violence, racism or misogyny.